They are doing just what they say–raising a stink, but it is a stench much worse than any pig poop could possibly smell. These billboards are part of a campaign started by the Waterkeeper Alliance organization to blame hog farmers for polluting local waterways. Although their aim is to make a positive difference in the community, this organization is causing harm, defaming an industry, and do not have their facts straight. It is important that not just the other side of the story is told, but that facts are put out there, so that the public can be informed. Pollution is a serious issue that should not be taken lightly; however, there are a few things that the Waterkeeper Alliance isn’t telling you–things you should know to get the whole picture. Who is the Waterkeeper Alliance? The Waterkeeper Alliance organization is an international group represented by 240 local groups on 6 continents. They are environmentalists who focus on maintaining and promoting clean waterways. They have been active in campaigns against dairy farmers in New York and hog farmers in North Carolina along with various other campaigns. Last year (2014), they, along with their local subsidiary, The Neuse Riverkeeper Foundation filed an intent to sue against a NC farm, that gave the farm 90 days to complete a list of demands or else the organization would file suit against the farm. Although the farm worked with the organization to meet demands, the Waterkeeper Alliance has launched the billboard campaign against all NC hog farmers. What claims have been made by the Waterkeper Alliance? Waterkeeper Alliance seeks to expose the fact that foreign-owned corporations are reaping the profits made possible by the antiquated lagoon and sprayfield system of hog waste disposal, while placing an unfair burden on local contract growers. There is a lot packed into these claims, so let’s dissect them and look at what the hog farm scene looks like. First, let’s make sure we don’t call large hog farms factories. Even though they are on a much larger scale, they are still a farm, and should be called as such. The majority of these farms are still family operated too. 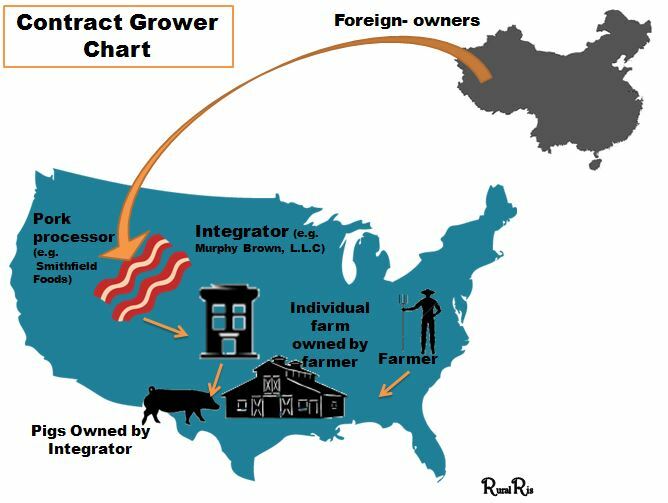 The hog farming chain can be a little confusing with its many parts. Here is a chart that will hopefully help. Large hog farms keep pig waste in large pits called lagoons. Hog waste is used as fertilizer for crops. What are the Waterkeeper Alliance not telling you? The Waterkeeper Alliance makes it sound like pig farmers have absolutely no concern for the environment, and they are irresponsible with the waste from the farms. This is the farthest from the truth. Farmers are some of the most avid hunters and fishermen out there. Why would they want to pollute the very waters that provide that recreation? In addition, many of their families live within the vicinity of these farms. Would farmers purposely pollute and cause damage to their own family? I don’t think so. Even if farmers didn’t care (which they most certainly do) they are required by law to adhere to strict regulations as to when, where, and how they can deposit and manage the waste in the hog lagoons. These regulations are put in place by the Department of Water Quality and are monitored throughout the year. Hog waste is never allowed to be dumped into waterways; however, human waste is permitted to be dumped in the rivers once it has been treated. Although the majority of pollutants have been removed from the waste, the volume put in streams is still high and the pollutant mass can still be high in streams (NCSU). The Waterkeeper Alliance demands a waste water treatment facility to deal with the hog waste in a more environmentally friendly way; however, human waste water treatment facilities are not perfect either. According to the EPA, there are over 22,000- 75,000 sanitary sewer overflows (SSO’s) that occur each year due to blockages, line breaks, sewer defects that allow storm water and groundwater to overload the system, lapses in sewer system operation and maintenance, power failures, inadequate sewer design and vandalism. The only thing a hog waste water treatment facility is going to do is cost the pork industry millions of dollars, driving the cost of bacon and porkchops through the roof. According to Feeding America, North Carolina is ranked in the top 10 states for food insecurity, and higher pork prices will only drive food insecurity up. Lagoons are required to have substantial grass planted around its banks to prevent erosion. Crops meant for direct human consumption, are not allowed to have hog waste sprayed on them as fertilizer. Lagoons must be kept under a certain level at all times to prevent overflows into waterways. Rain is stressful to a hog farmer as it increases the levels of the lagoons and soaks the fields to where they cannot be sprayed on. With no where for the rising lagoon water to be sprayed, hog farmers often times have to hire tanks to haul it away. They have even flown men in from other states to help in the effort of managing the lagoons during a heavy rain season. Hog farmers have to take lagoon samples of the waste to make sure the nitrogen and phosphorus levels are appropriate within 30 days of spraying on fields. If hog farmers know a neighbor is having a party or an outdoor function, they try not to spray as to disturb them. The majority of farms are off of a dirt path away from most homes. By law, they must be 1,500 feet from a residence and 2,500 feet from a school, church, hospital, or park. Farms are inspected twice a year by the Department of Environment and Natural Resources (DENR). According to the NC Pork Council, during 2000, 98% of the 6,000 inspections of NC’s 2,500 hog farms were found to have no direct discharges of organic waste water to the surface waters of the state and 94% found no signs of over-application to fields. If there happens to be a hog waste spill in the rivers, the farm is required to report it and could be fined. Spills are typically caused by equipment malfunctions. The organization claims that there are better innovative ways to deal with hog waste out there, but hog farms are stuck on the antiquated ways of spraying on fields. Many hog farms are collaborating with scientists and innovators on various ways to improve hog waste management. Many of these innovations are in a trial period or are so expensive that the cost outweighs any benefit. The goal is to provide affordable pork to the public and do so in an ethical manner. Farmers are being ethical and careful in how they manage hog waste. The Waterkeeper Alliance may also tell you that the Neuse is one of the most polluted rivers and fish are at an all time low; however, the Neuse River basin does not boast the most amount of hog farms. The Caper Fear River Basin has the most hog farms. 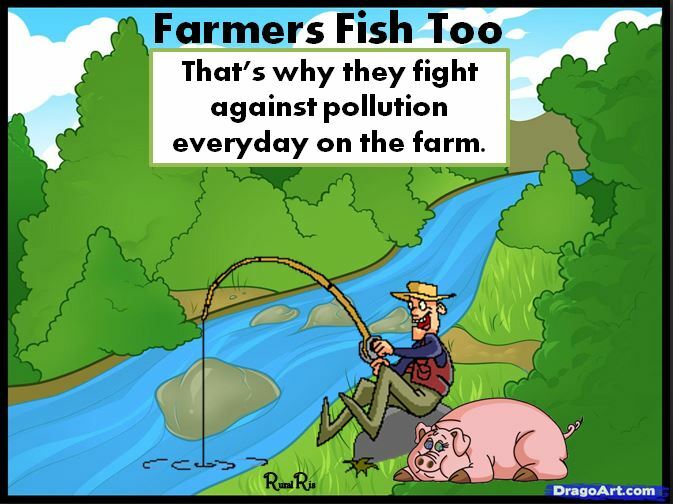 If hog farms were the cause of the river pollution, then why is the river basin with the most concentrated hog farms, not the most polluted? It doesn’t add up. While the Waterkeeper Alliance is not calling for an end to large pig farms, they are saying some nasty things that does not tell the whole story by any means. It is ok for them or anyone to ask questions and even challenge certain practices. It is important that hog farmers look at ways to constantly improve, but the current billboard campaign does not ask questions and challenges in an unhealthy manner. The Waterkeepr Alliance is suggesting that hog farmers are unethical in their environmental practices, but the Waterkeepr Alliance is not being ethical in their efforts by defaming an industry, causing the potential for increased pork prices, and not telling the whole story.